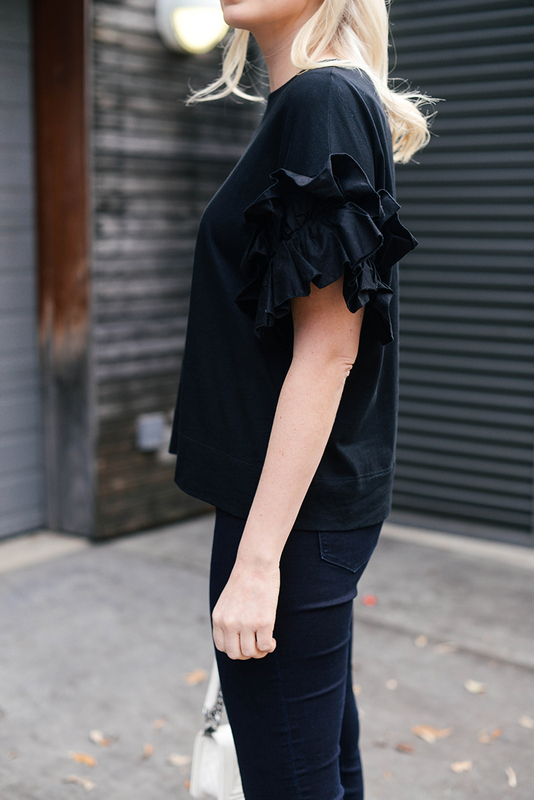 Speaking of ruffles… In Wednesday’s post I featured this elegant Veronica Beard blouse for work or play, but this ruffle-sleeve tee I found last fall has been a favorite casual go-to for errands, happy hour and everything in between. You’ve already seen me style it with my must-have flares here, but it looks equally chic with skinny jeans and a fancy sandal for transitioning to spring. Soon I’ll be wearing it with cutoff shorts and white jeans this summer! A surprisingly versatile piece, don’t you think? 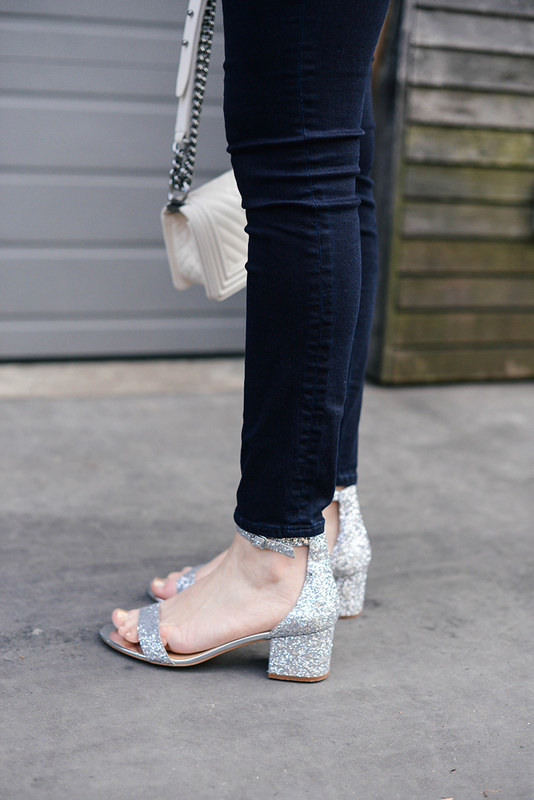 I’ve said it before and I’ll say it again: statement staple. The tiered ruffles on this MSGM grey tee add a playful touch to an otherwise basic t-shirt. LOVE! This poplin ruffle tee is under $50 and comes in four color variations! So fun! This GOEN J ruffle jersey top is a little more elevated and would look gorgeous at the office, but you could easily dress it down with blue jeans and sneakers! This H&M tee is a little more understated with a single row of crisp white ruffles. PS – it’s only $30! Current/Elliott’s ruffle-sleeve tee is a more watered down version of my tee – cool, casual and great for weekend wear. If you’ve got a smaller bust, add curves with this double-ruffled Tory Burch tee! That top sure is pretty and I totally can see its versatility! You look so gorgeous! Love the entire look! This tee is so cute and I love those shoes! Those ruffles are everything! Have a great weekend, Merritt! You are just killing it with all of the ruffles lately! You look as chic as ever in this post. Love it so much!! Perfect with your black jeans and those amazing shoes.